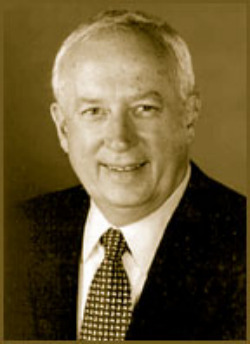 Roy W. Pickens received a Ph.D. degree in experimental psychology from the University of Mississippi in 1965. After a year of PHS postdoctoral training in psychopharmacology at the University of Minnesota with Travis Thompson, he accepted a faculty position in the departments of Psychiatry and Psychology, where he conducted research on drug self-administration by animals, human drug dependence (including smoking), and genetic influences in alcoholism and drug abuse. He rose through the ranks to become full professor in 1973. At Minnesota, he received a number of federal and industry research grants and contracts, served as research consultant to Hazelden Foundation, and was appointed to a number of state and national offices. In 1985 he became the Director of the Division of Clinical Research at the National Institute on Drug Abuse (NIDA) in Rockville, Md. In 1986 the institute director (Charles Schuster) extended Pickens’ duties to include associate director for AIDS. In 1989 he was appointed scientific director of the NIDA intramural research program (Addiction Research Center) in Baltimore. In 1994 he returned to the laboratory, where he served as Chief, Clinical Neurogenetics Section and Associate Director for Training and Education. During his governmental career, he received a number of awards, including the PHS Special Recognition Award in 1989 and the Presidential Meritorious Rank Award in 1992. From 1999 to 2008, Dr. Pickens served as the associate vice president for research at Virginia Commonwealth University.